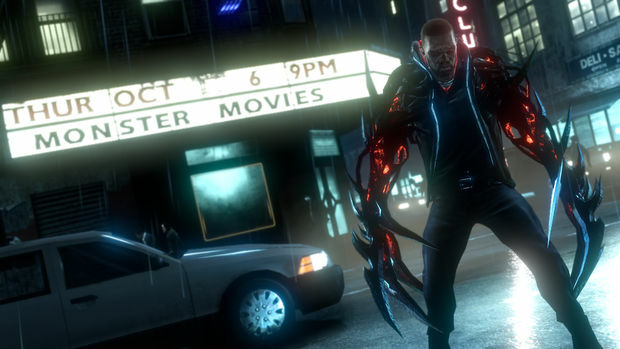 Main protagonist of Prototype 2, Sergeant James Heller, was given a second chance at life after being infected by the The Blacklight Virus. He now shares Alex Mercer's powerful abilities but unlike Alex, Heller embraces his powers from the start and uses them to seek revenge against Alex for having a hand in the death of his family. Heller is also on a mission to save New York City, now rebranded New York Zero due to the biological outbreak that has literally divided the state into three cordoned off sections. The Red Zone contains the worst of the infection while the Yellow Zone sees an overcrowded human population quarantined from everyone. The Green Zone sees the least amount of biological activity, but that doesn't mean it's all good. Black Watch, the powerful private military force hired by the government, rules the Green Zone with an iron fist and anyone that gets in their way is swiftly taken care of. 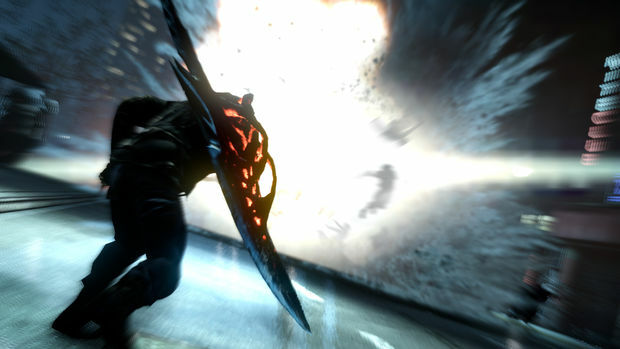 It's in the Green Zone that developer Radical Entertainment ran a live demo of Prototype 2. Visually and gameplay wise, everything looked largely the same. It did seem like the fighting mechanics have been streamlined as I never saw a radial menu pop up when Heller switches abilities. There are new abilities, of course, and you can expect plenty of returning ones such as the wall running and the long distance jumping stuff. As for the some of the new abilities, one that was shown off was called the Bio Bomb. Heller infects a soldier and causes dozens of spikes to pop out of the poor sap a few seconds later. Another was a new passive ability called Sonar that sends out a wave that will highlight a target for Heller once it's bounced off them. Lastly we saw the Weaponization ability which has Heller ripping off a weapon from a vehicle -- in this case a missile launcher from an APC -- and using it against his targets. Heller will receive new mutations (perks) and we can expect a wide variety of them this time around. One that was shown off boosted Heller's air dash powers. The monsters are meaner and bigger than ever and there's plenty of them to go around. Heller will come across numerous lairs around the city which are underground areas full of baddies. You'll have to kill everything in order to clear the rooms; they reminded me of self contained "Horde"-like arenas. There was some more to the demo presentation, but nothing worth mentioning. 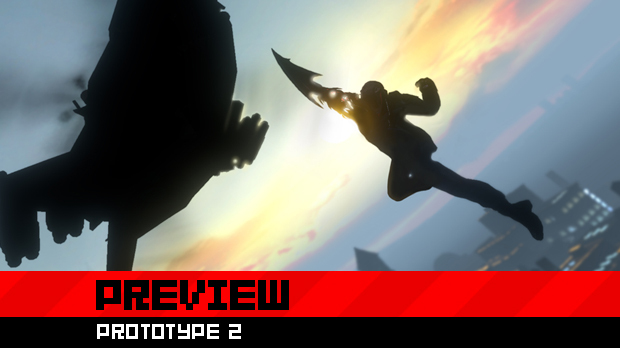 Basically, Prototype 2 is looking a lot like the original but with more weapons and monsters. The presentation ends by teasing the gigantic, screen-filling monster you see in the image above throwing cars at Heller like they're children's toys. So far I'm not too sold on the game. I definitely want to see more of Prototype 2 and get some real hands on to see how well it handles this time around. 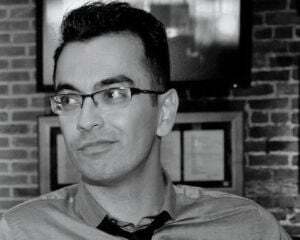 I also want to see if anything has been done about the story structure. I liked the first Prototype, but found myself quickly moving on to the next game due to there being no reason to keep me pushing through.